If Calvin Harris had the inclination, he could probably buy most of his home town of Dumfries. Although the DJ probably has better things to spend his money on than depressed Scottish borders towns. 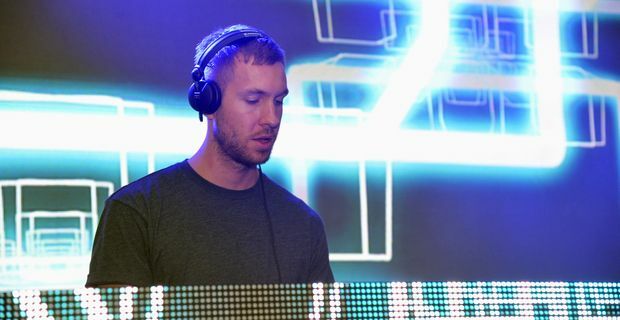 Harris has been named as the world's highest-paid DJ, making a staggering £29 million in the last year from around 100 gigs. In Forbes magazine's recently compiled list of the top-earning DJs, Harris edged out Dutch DJ Tiesto who made £20 million. The pair are heading out on tour together on December. French star David Guetta came in third with £19m, followed by Swedish House Mafia with £16m and Deadmau5 with a paltry £13m. No, it's unlikely any of them are available for your wedding reception in the leisure centre in October. Harris does a little more than spin the hits. His last album, 18 Months, broke chart records by being the first album to spawn nine top ten hits. It's the most obvious example of a new music buying habit of purchasing individual tracks rather than buying a physical CD of an album. The album included a couple of number ones, collaborations with Rihanna and Florence Welch. The secret of Harris's immense commercial success is that he is not too precious about who he works with, happy to hit every audience demographic going. "The rise of dance music has been astronomical in the last three years," Harris said. "I happened to be in the right place at the right time." Harris has been in a relationship with Rita Ora since May, but admits that Ora isn't too impressed with his music. It's unlikely that Harris will be offering any of his contributions to Ora's albums. "She doesn't really like my music but I like hers," Harris said gallantly. "She’s not really into the idea. We're not together for musical reasons, which is great. We’re trying to keep business and pleasure separate."